This isn't how Japan should look. 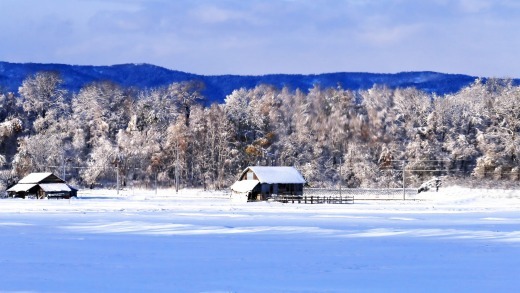 These buildings we are driving past, scattered across the snow-covered fields, are timeworn and ramshackle. The wood cladding on one looks a bit decayed; orange rust oozes from the windowsill of another. And this countryside? Gosh, it's desolate. 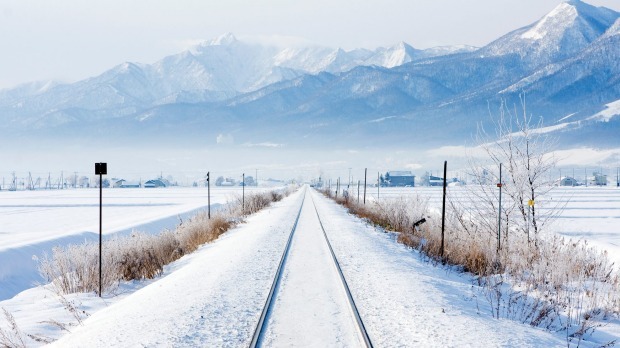 I've been noticing (and getting slightly annoyed by) these imperfections ever since arriving in Hokkaido – the northernmost of Japan's main islands, known as the country's final frontier – two days ago. I've also been noticing (and getting slightly annoyed by) its absences. Of impeccable temples, of neat Zen gardens, of picturesque traditional townhouses. I've held my tongue, not wanting to tarnish the rest of our small group's experience on our Walk Japan tour across the eastern side of the island. But today it just wriggles out. And then, I get a response that kind of transforms my whole trip. "It's a bit wabi-sabi, don't you think?" 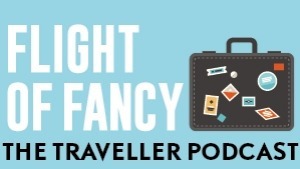 asks a fellow traveller. "Wabi-sabi," pipes up one of our guides, twisting around in his seat to face me. "It's a Japanese concept about the beauty that lies in imperfection and impermanency. It's linked to Zen Buddhism." It's difficult to explain, he says, but it's mostly about the understated beauty you'll find in anything rustic or decayed. Things like chipped pottery, faded clothing, or warped vegetables. Things which, in our naturally flawed world, should be celebrated for their imperfections, yet which are quite the opposite of our western ideas of what counts as beautiful. We keep driving and I roll wabi-sabi over in my mind. Can I really let go of my concept of beauty as being only that which is perfect and enduring, I wonder, to appreciate Hokkaido's raw, grey landscapes and derelict buildings? 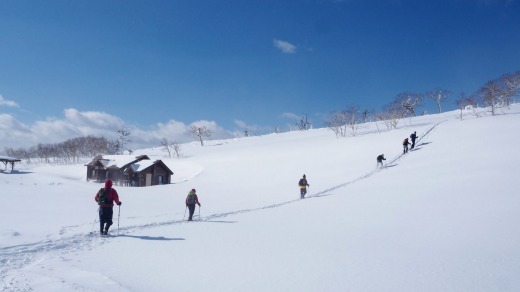 It's an idea that's put to the test the moment we arrive at the remote fishing village of Ochiishi for an afternoon snowshoe hike. We trudge down snow-flanked streets, zig-zagged by power poles and lined with aluminium-clad houses. Many of them are rusting or rotting; others are so basic they look more like sheds than homes. But then we are on the edge of the wild Pacific Ocean, and those cracks and crevices are all marks of the interplay between time and weather and geography. The thought brings an elegance to the scene before me – to the sheets of seaweed strung up on washing lines to dry in the frigid sea air, the ripped fishing net slung over the side of a corroded shipping container, the gnarled wooden sign poking out of the snow. By embracing these things that I'd usually write off as decrepit and ugly, I find myself beginning to glimpse the beauty hidden in them. The following day en route to visit the ice fishermen of Lake Furen, we stop to see the ice floes drifting down to Japan from Siberia, which people travel to Hokkaido from all over the world to see. "When you speak to the older generation they say, 'this is nothing!'" says our Japanese guide Takuya. "'When I was young, big icebergs would drift down, you'd even hear them crashing! ', they'll say. So this ice will probably have disappeared completely in 50 years." Silence descends on our group as we contemplate these grave effects of global warming. But then I remember to put my wabi-sabi hat on, and appreciate the ephemerality of these ice chunks that hover over Hokkaido's wild shores for just a few weeks every year. They're a reminder of the fleeting nature of time. And, if you take the Zen Buddhist approach, of our existence on this planet, where life will always be both hard and beautiful. By the time we reach Mount Iozan, an active volcano that was once mined for sulphur, I'm a full wabi-sabi convert. I decide not to find the intense eggy scent emanating from it offensive. 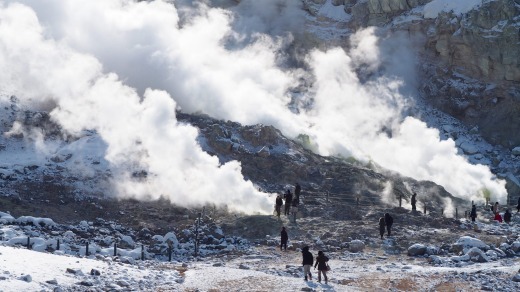 Instead, I leave the group behind and walk right up to the mountain, to simply watch it belching pillars of steam. Had I not come this close, I wouldn't have noticed the simple beauty of the rock vents. Or how they've turned a brilliant canary yellow from being coated in sulphur over the decades. Later in the evening, on my way to dinner in our hotel, I pass a small pottery stall. I almost walk right past the handmade plates and bowls, which at first glance seem too simple and coarse for my tastes. But then I pick up a bumpy-edged sake cup and, as I run my hands over its rough surface, realise it might be the perfect souvenir. Perhaps every time I use it back home I'll be reminded of this small lesson that Hokkaido, in all its wabi-sabi splendour, has taught me. That as the late Leonard Cohen famously wrote, "there is a crack in everything, that's how the light gets in."